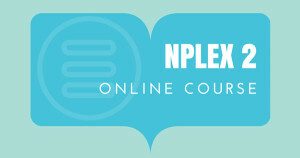 NPLEX Course – Below you’ll find multiple NPLEX Courses geared at helping you pass NABNE Exams. You can select the course you are interested in to find out more information. 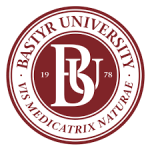 Enjoy online courses from the comfort of your home. There are courses for every aspect of NPLEX, such as NPLEX Part I and NPLEX Part II, and even including the Acupuncture Elective and Minor Surgery Elective exams from NABNE. The newest course focuses on NABNE’s Pharmacology Elective exam. Some courses only open up for short periods of time, so make sure you register quickly if you see one that works for you! Hours of content, 12 sections, 1000's of slides, and practice questions, this complete and comprehensive exam-prep course covers everything you need to pass your NPLEX 1 licensing exam. Hours of content, 23 lectures, a toolkit of test-writing tactics and practice questions, this complete and comprehensive exam-prep course covers everything you need to pass your NPLEX 2 licensing exam. 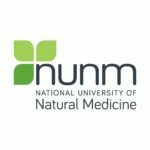 This course provides UNBELIEVABLE value by reviewing all core concepts and points of NPLEX Acupuncture Elective. Hours of content and 500 slides with expert instruction by Dr. Neemez Kassam, ND. This online course will provide you with everything you need to know to pass the NPLEX Minor Surgery Elective exam, expertly taught by the Minor Surgery instructor, Dr. Yasmin Snippe, ND, RN. This online course will provide you with everything you need to know to pass the NPLEX Pharmacology Elective exam, expertly taught by Dr. Chris Habib, ND, lead NPLEX instructor. This online course will demonstrate everything you need to know for the Physical Examination/Instrumentation component of the Ontario Clinical Examinations. This online course will demonstrate everything you need to know for the Acupuncture Exam component of the Ontario Clinical Examinations. Practice tips, diagnoses, and points are all reviewed. This online course will demonstrate everything you need to know for the Manipulation Exam component of the Ontario Clinical Examinations. All spinal segments are demonstrated. PLEASE NOTE THAT ALL CANADIAN NPLEX COURSES (CAD) INCLUDE HST WHICH IS CALCULATED AT CHECKOUT. During the NPLEX sitting after we used Pass NPLEX at our school, our pass rate was 100%! You obviously steered students in the right direction. Thank you, Pass NPLEX! There was so much enthusiasm and excitement for Pass NPLEX at Bastyr. Our students were so grateful for your course and only had good things to say about Pass NPLEX. Well done! We were so happy to utilize your course for our graduates. The feedback from them about the course was excellent and the overall class score for NPLEX improved! We have invited Pass NPLEX to work with us every year because they deliver results. Our students are always extremely impressed with the course. We look forward to working with you for years to come. We have multiple obstacles not faced by other schools. Our students were extremely pleased with the resources provided and continue to trust Pass NPLEX for all their prep.